This post may contain affiliate links for which I may receive a commission at no extra cost to you. Get a Siteground hosting for yourself at 3.95$/month and get the SSL certificate free. Your site got HACKED? Never again. The duplicate content and WordPress duplicate page effects SEO considerably. 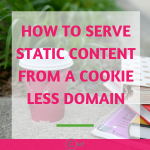 Duplicate content becomes much more of a problem when your blog is growing and people tend to link to different versions of the same blog content leading to ambiguity to search engines. Let us first see what is duplicate content and how it is formed. 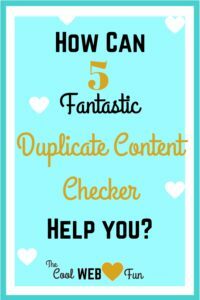 Do not forget to check if your blog is having any duplicate content with the duplicate content checker. We can then eliminate the duplicate content by following the ways underneath. Here both the url points towards the same blog content. But for search engine, it is a different url as the later one comes with the id of the blog post. 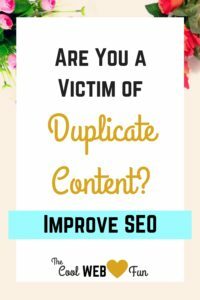 DOES DUPLICATE CONTENT AFFECT SEO? When duplicate content is present, search engine gets confused as which version of the post to rank for. From the multiple url options, search engine chooses any particular url to show in search results and the other urls are generally discarded. We all know that inbound links contribute to ranking factors hugely. So what happens when people start linking to different versions of your post? Naturally, the weight-age of incoming links get shared and it drops the search ranking of your original post. The trust value, the authority of post also gets parted when multiple urls are present on the web. HOW ARE DUPLICATE CONTENT FORMED? Through various activities on the web, we create our own duplicate content. Session IDs when assigned to visitors to store their brief history, sometimes creates duplicate content. The secured and non secured url (http/https) can produce two different urls. If both www and non-www version exist then you should direct Google which version to use, else you are potentially risking at creating duplicate content. Printer friendliness of CMS also produces different urls for the same post. One which is clean without any ad network for printing purpose and the other for online study. Both direct to the same content and it is same for you and me but search engine takes the URL’s differently and treat it as a completely different set. Even the orders of the parameters are seen differently by search engines. ID is the identification of the blog post and cat means category and both the url directs to the same post. But for search engine it is different. If someone copies your content and does not link to your original content then it becomes more difficult for search engines to rank the articles for the same search queries. This spamming leads to another version of the same article. It is more common with e-commerce sites as same products are sold with the same description and manufactures. First and foremost way to check for duplicate content is Google Search Console. 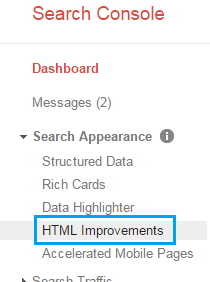 If you have any Duplicate meta descriptions or duplicate title tags it will be displayed here. This tool will help you to find out if anyone has copied your content. Plagiarism can be easily detected by this tool. This is an extremely important tool to fight spamming when you will find that your blog content is available on multiple domains. Simply enter your blog post url and you will get to know if any duplicate content of your blog hovering on the internet. This is a very simple tool used to find the internal duplicate content. Do not panic when you see siteliner is listing your category, tags, archives as duplicate content. 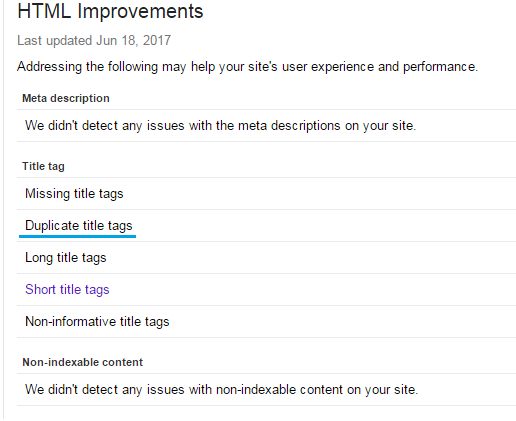 You can always de-index tags & categories or find out how to use tags and categories for SEO and building site structure. Plagiarism is not related to own site duplicate content issues but still, it is wise to check. Here you have to copy-paste your content. It comes with a limit of 1000 words. Once you check your content it will give the result as for whether your blog lines as unique or plagiarized. By clicking on the plagiarized section you can find out on which other domains similar lines exist. Sometimes it may happen that your content is original but it is having a striking similarity with some other blog content. In that case, if the other content is published earlier then you may do the required changes on your blog content to avoid plagiarism from their end. If you find that your content has been copied to some other domain then take necessary actions to fight plagiarism. This tool is very accurate in providing with details as they will search all pdf files, forums, blogs on the web to find out from where a content is copied. With the paid version of Copyscape you will be able to check for the duplicate content even for an unpublished post. 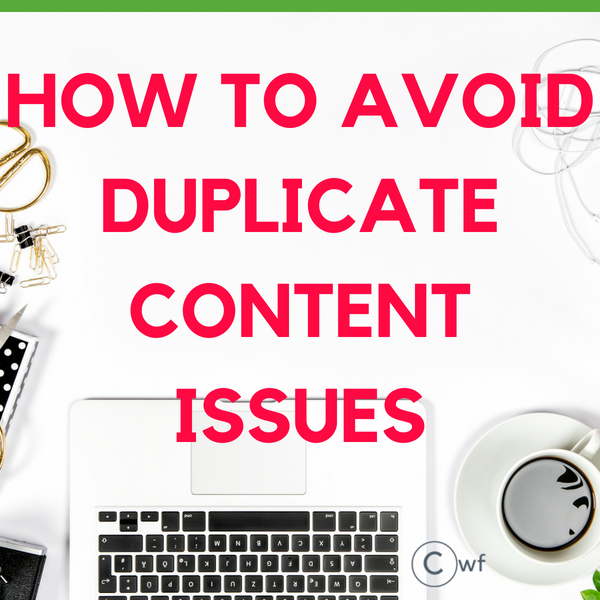 Duplicate content can be fixed through the following ways. Redirecting URL is perfect when you have multiple duplicate contents. You have to set up a 301 redirect from duplicate page to the new original post which you want to rank in search engines. In many cases, we have post & pages with similar topics which are competing with each other for ranking well in search engines. In this case, we can combine and redirect all our posts to a single ‘most important one’. This way we can stop all the similar posts competing with each other which will help the potential main post to be popular and rank well in search engines. 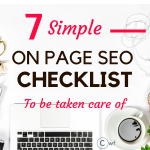 It will also have an overall positive impact on your blog SEO as there will be no chances of duplicate content. We will get a 404 error if we delete any post. 404 error is bad for SEO and worse for an user experience. How will you feel if you are searching for a post and see an ERROR 404. Yes, it is irritating. In this case, also we can redirect the old URL pointing towards the new one thus avoiding any 404 error. This is the easiest way as you do not have to mess up with any coding. Follow the simple steps to edit .htaccess file. 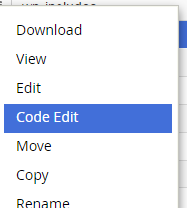 Include the code at the end of the file. Remember to change yoursite.com to your own domain name and put correct old and new post url for proper redirection. The canonical tag rel=canonical helps webmasters in preventing from duplicate content issues. When a canonical tag is specified in a post-it means it is the preferred version of the web page and hence the search engines do not have to think which version to show in search rankings. So now you know why it is important to set canonical tag. If you do not set then you are risking for a duplicate content in being circulated in search engines. If the canonical link is set then search engine knows which version is canonical and all the links of different versions are directed to a particular single version thus improving SEO of your site. How to use Canonical Tag? Now there are two versions of same blog content which has been linked from different sites and hence different urls. So which URL search engine is going to rank for? And which one is the duplicate content which will affect SEO negatively? Here comes canonicalization into play. I choose the cleanest URL. By setting the rel=canonical I have redirected the link B to link A without actually using 301 re-direct. Here I have merged the 2 pages and now search engines will not be confused which one to rank as both the links now point to single canonical version. 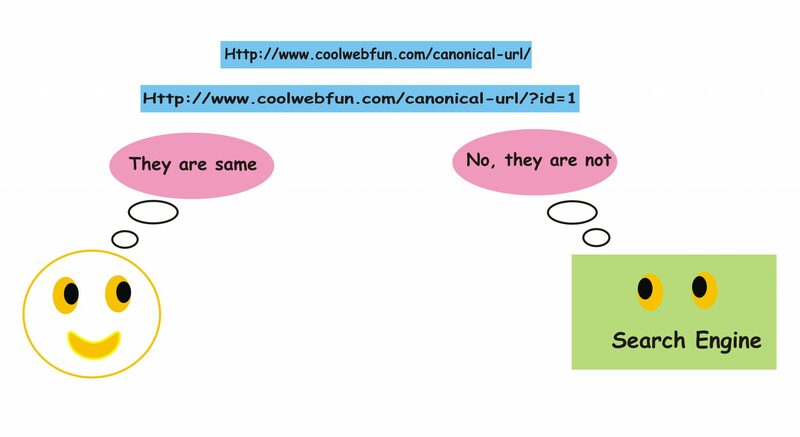 If you are still confused with the canonical tag I would suggest you to have a look in Moz rel=canonical questions. 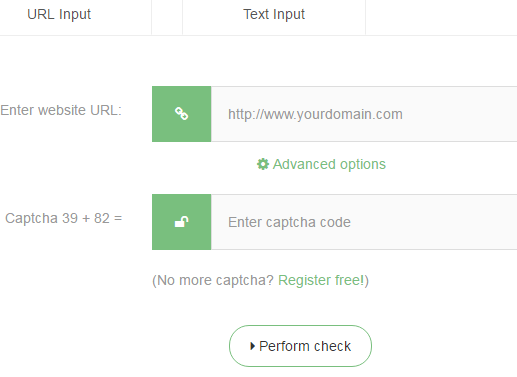 The advanced Yoast settings allow setting the canonical url. 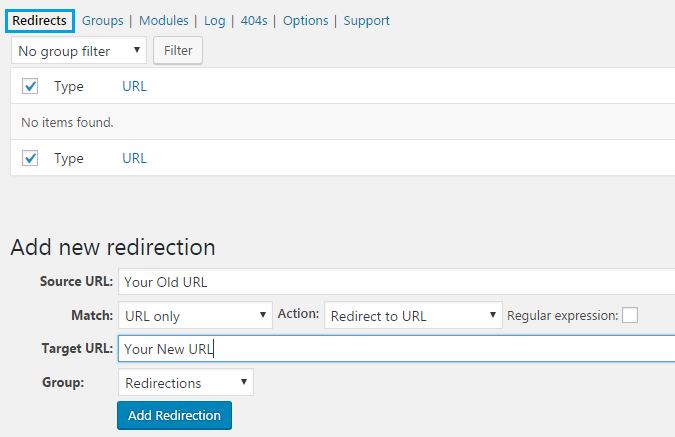 With yoast SEO you can simply set canonical url to direct the current page url to something other. This is yet another method to avoid duplicate content issues. If you are not choosing between http-https, www or non www versions then you are generating duplicate content issues. People also tend to link to different versions of your site producing more confusions for search engines so it is always wise to direct to only one domain name. Before choosing between www or no-www versions first make sure which one do you prefer. Sticking to one domain will not only boost SEO but it will be less confusing for yourself too. Why should you use a canonical domain name? We should have a single version of our site to reduce the number of duplicate issues of indexed pages. When you tell the search engine which version to use then it automatically redirect www to non www or vice-versa to point it to the same url. Setting your preferred domain effects your domain SEO. If you are not setting your canonical domain name as domain www or domain without www then while creating backlink you are either linking to www .domainname or no www .domainname, so you are linking to different versions of webpages. So ultimately you will be getting half of the results for your link building. It is very important to do url canonicalization else you may be facing duplicate content issue from search engines. Your site will get penalized in search page rankings if not setting any preferred domain name. If you are using word press then it is most likely that word press have already set your default domain and you are not getting penalized in search rankings for non url canonicalizations. You can tell Google which domain name you prefer by setting your preferred domain in Google search console. Both www and non-www version imply the same to select the domain style which suits you. How to tell which domain preference you are on? It is very easy to check on which domain name your default settings are. You can find your address URL as the image below. 2. Click on your site address. 4. Now set your preferred domain as www or non-www and Save it. 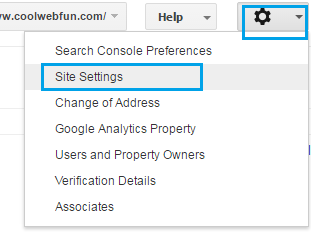 You need to verify your both www and no www domain with Search Console to confirm that you own the both. This process is same as the when you first verified your domain with Google Webmaster. This time you just need to Add a Property with the other Domain url. In my case, I should add the non-www version to it and follow the steps to verify the domain in Google Webmasters. Now when you have verified both the versions of a domain then you can set your preferred domain. If you do not have any blogging goals and still striving for website traffic then I would like you to check Scrivs Billionare Blog Club. I wish I could have come across his community when I just started. I had spent on several blogging courses. Some did not burn a hole in the pocket while some did. In fact, earlier I had made a list of 2-3 courses which I would have liked to buy when my blog earns well. But after joining BBC my whole perception about blogging changed (I do not need any more courses). I cannot thank him and his slack community enough to make my blog successful. Trust me the slack community will make you feel as if you are working with co-workers and you will never ever really need any other blogging courses. If you are a newbie, this is the best thing you can do to your blog. He offers a free 12 day blog camp which is even filled with so and so much of information. When your site is growing you will have tiny duplicate content issues which are produced either by you or else linked up with your visitors to different versions of your site. Just keep an eye and check in about a month if your site has produced any duplicate content. 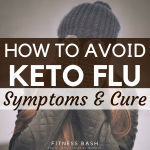 Ketosis Flu Symptoms: What is Keto Flu and How to Avoid it? Wow so much helpful information. This is a great! Excellent blog and very informative! Whoa…this is amazing! Such wonderful information, thank you! This is so helpful! I just followed these steps to check on duplicate content on my own site and definitely found some things I can clean up. Thanks for sharing. Hey its very useful article and its very nice. Hi sir very good article keep it up. Hi sir very nice article. Amazing Article.. Being Designer & Developer i was able to understand and learn from your post… i really like it.. Keep it up. canonical tags are the fastest way for solving duplicate contents.